This Monday, the U.S. Supreme Court will hear oral arguments in the case of Rebecca Friedrichs vs. California Teachers Association. The high-stakes challenge to mandatory union dues could dramatically alter the political reach and financial muscle of public sector unions across the country if Friedrichs and the other plaintiffs prevail. Here’s what non-lawyers need to know ahead of the arguments. 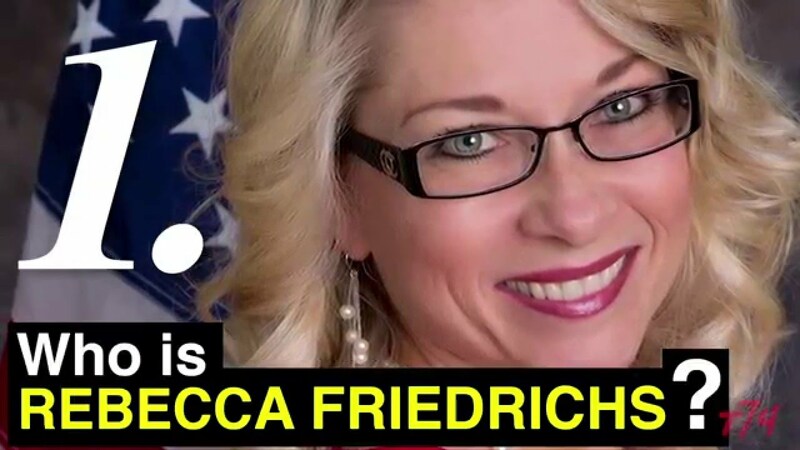 Who is Rebecca Friedrichs? Friedrichs is a longtime teacher in southern California whose personal history with the union is bumpy. She first soured on unions while a student teacher, after witnessing another teacher abuse students and learning how difficult it was to dismiss her, she told The Washington Post. For the first 10 years of her career, she only paid agency fees — the part of dues that cover collective bargaining and other labor activities, but not political activity. 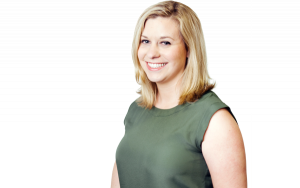 Eventually she decided to become a full union member in the hopes of changing the culture from within, she wrote in The Orange County Register. When that didn’t work, she switched back to being an agency fee member in 2012 and filed the lawsuit in 2013. What is the current law? Each state sets laws governing whether employees must pay at least some dues to a union active in their workplace. About half of states are what’s known as “right to work.” They don’t require employees to pay dues. In the other half of states, unions may charge employees what’s known as an agency fee or fair share fee, though not all employees have to be members of the union or fund its more explicitly political activities, like get-out-the-vote efforts or lobbying. What’s Harris vs. Quinn? In this case from 2014, home health aides paid through Illinois’ Medicaid system said they shouldn’t have to pay mandatory union dues. Rather than consider the broader legality of the Abood precedent, justices in a 5-4 decision said that because the Medicaid patients set some of the aides’ working hours and conditions, the aides aren’t public employees. Although the Friedrichs case started several years before the Harris decision, many see Justice Samuel Alito’s majority opinion as inviting a case that could directly challenge the Abood precedent. It’s also a possible indication that five votes exist on the court to overrule the 38-year-old precedent. What are the teachers’ arguments? Who’s backing them? Friedrichs and the nine other teachers argue, in short, that even traditional collective bargaining activities by public-sector unions are political. Fights over teachers’ wages, for instance, affect state budgets and individual taxpayers. Contract provisions governing how teachers are dismissed or disciplined affect public education policy. Requiring teachers who disagree to pay union dues to back those ideas violates their First Amendment rights, the educators say. Plaintiff Harlan Elrich, a California math teacher, wrote in the The Wall Street Journal Jan. 3 that he came to realize that even the portion of his roughly $1,000-a-year dues allotted to collective bargaining was supporting positions he fundamentally disagreed with — such as making it nearly impossible to remove bad teachers and to push for ever-higher teacher salaries in the hard-hit Central Valley. The Christian Educators Association International, a faith-based group that serves Christian principals, teachers and other educators, is also a party. The petitioners are being supported by the Center for Individual Rights, a libertarian-leaning public interest group. A variety of conservative advocacy groups, some Republican legislators, and a group of parent advocates have filed briefs backing Friedrichs. And what do the unions say? Who has supported them? The unions argue that the Abood precedent should stand. Its rationale was to prevent “free riding,” or a situation in which employees who aren’t union members and don’t support it financially still reap benefits the union negotiates. It also makes it easier for employers to negotiate with employees, and promotes “labor peace” among potentially competing groups of employees. The unions in their briefs also argue that the Supreme Court’s principle of stare decisis — that is, sticking with existing precedent — is particularly important when “literally tens of thousands of contracts governing millions of public employees” were written with the Abood precedent in mind. They also argue it would “remove from ongoing policy debate” an issue that states have chosen to address differently based on local circumstances. Doing so, the unions say, would violate principles of federalism that give states great latitude. A coalition of major civil rights group, the attorneys general of 21 states and the District of Columbia, some school boards and the City of New York have all filed briefs backing the unions. The solicitor general and California Attorney General Kamala Harris will also argue on behalf of the union’s position. Attorneys will have prepared statements but the justices will interrupt frequently with questions or to raise arguments of their own. No cameras are allowed in the courtroom, nor are reporters allowed to bring in recording devices. Media stories from reporters in the courtroom should start popping up online around lunchtime, and the court usually releases a transcript later in the afternoon. SCOTUSblog is a great resource for all things Supreme Court, and check back with The Seventy Four for coverage later in the day. Who’s the swing vote? In most cases that split the court on ideological lines, it’s Justice Anthony Kennedy. In this case, though, many commentators say the swing is Justice Antonin Scalia. He’s deeply committed to the idea of stare decisis, so the unions’ emphasis of that point could appeal to him. He also wrote in a 1991 case in favor of fair-share fees. But he did side with the majority — with Kennedy, Alito, Chief Justice John Roberts and Justice Clarence Thomas — in Harris, an opinion that called Abood “quite questionable on several grounds.” Justices Ruth Bader Ginsburg, Stephen Breyer, Sonia Sotomayor and Elena Kagan dissented in that case. When will there be a decision? There’s no set timetable for the court to issue decisions. Controversial rulings, as this one is likely to be, are frequently left until the end of the term. The Supreme Court is scheduled to adjourn June 27, though they can and, in recent years, frequently have, issued rulings past their planned adjournment. What’s the potential impact of this case? 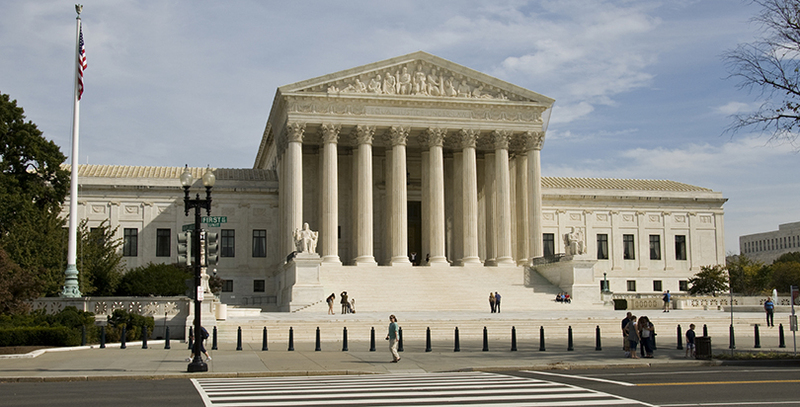 If the Abood precedent is overturned, unions will have to totally revamp their strategies. Some experts say unions are likely to turn to state legislatures to write new laws that will help them enroll members, like giving them set-aside time to make their case. Unions’ substantial lobbying and campaign expenditures also will take a hit, though the exact impact depends on how many teachers end their membership. Michigan, for example, became a “right to work” state in December 2012. The National Education Association state affiliate there had about 20,000 fewer members and took in about $5 million less in dues in the 2015 reporting year than the 2012 reporting year, $56.7 million versus $61.9 million, according to filings with the U.S. Department of Labor.